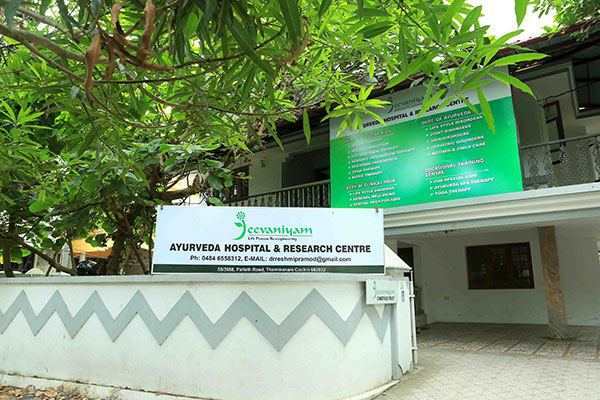 Jeevaniyam Ayurvedic Hospital and Research Centre as a social commitment takes care of children with special needs integrated approach culling the essence of rich legacy of Indian system of medicine enabling them to solve their physical and mental challenges. Jeevaniyam Ayurveda Hospital And Research Centre is the one and only institute serving the special kids and their family through various ayurveda treatments, Yoga and music therapy with widely practiced therapies such as Sensory Integration Therapy, Occupational Therapy, Speech and Language Therapy, Behavioural Therapy, Academic Supports, Vocational training, Parental training equping them for a better social and independent living. We at jeevaniyam specially focus on Autism, Cerebral palsy, Learning Disorders, ADHD and associated neurological disorders.